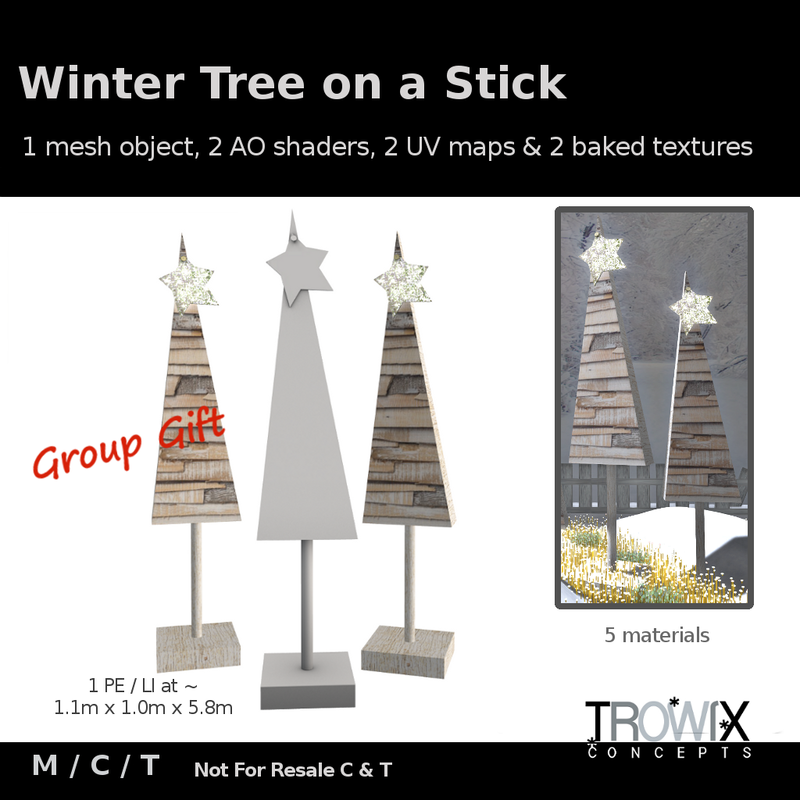 Twig Hook Hanger – Organic Cute! 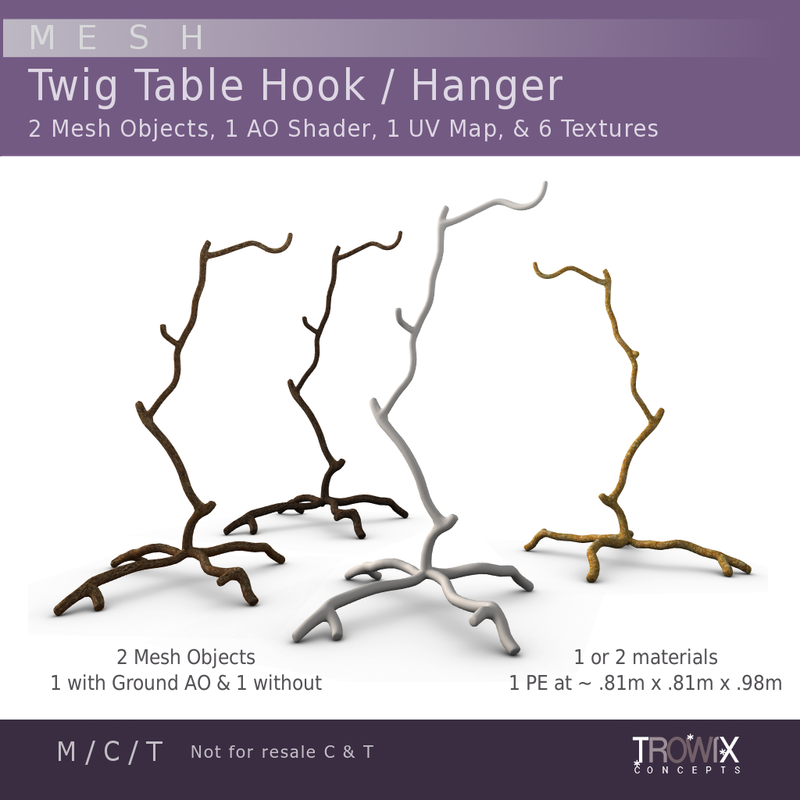 A crooked twiggy hook for tables, shelves or floor just waiting for lights, ornaments, pictures and all sorts of creative ideas. 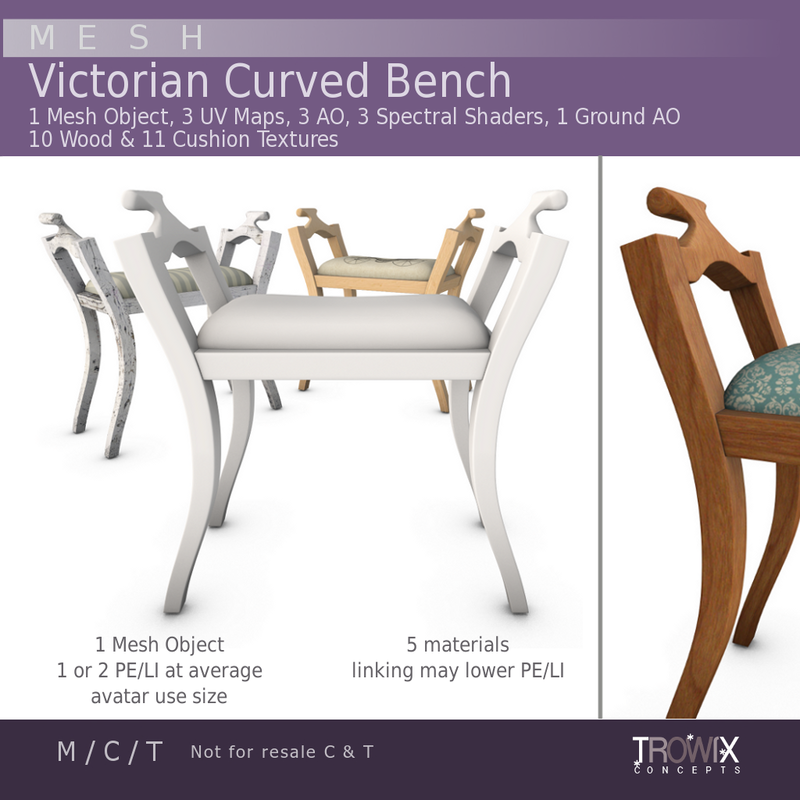 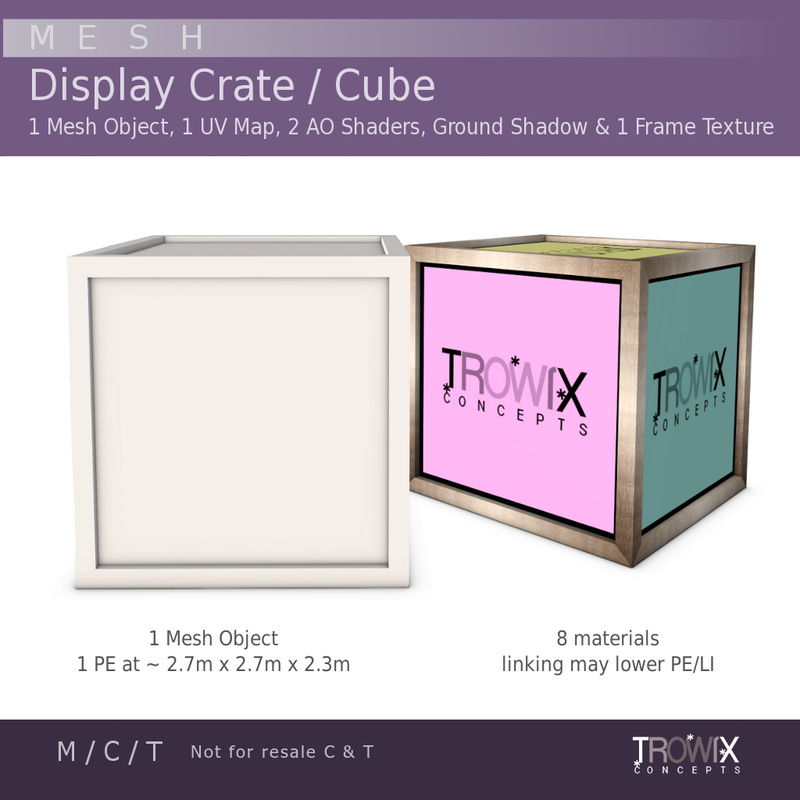 Original mesh made especially for SL grid with extremely low prim equivalency (PE or LI). 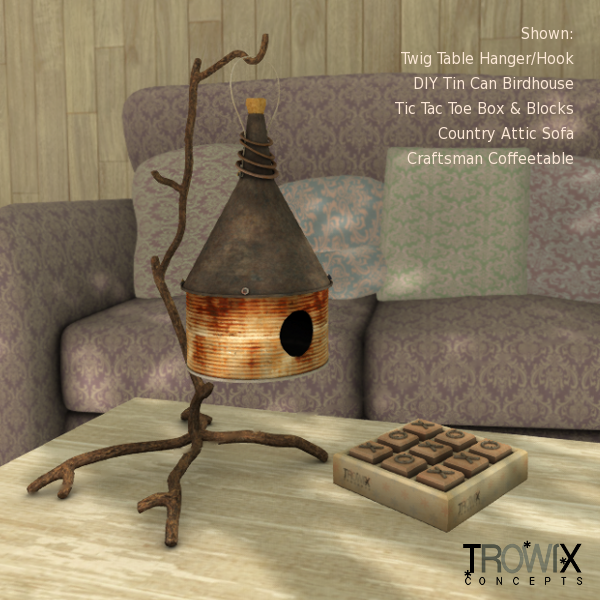 We used this with our “DIY Tin Can Birdhouse” Mesh, but there are so, so many more ways to use it! 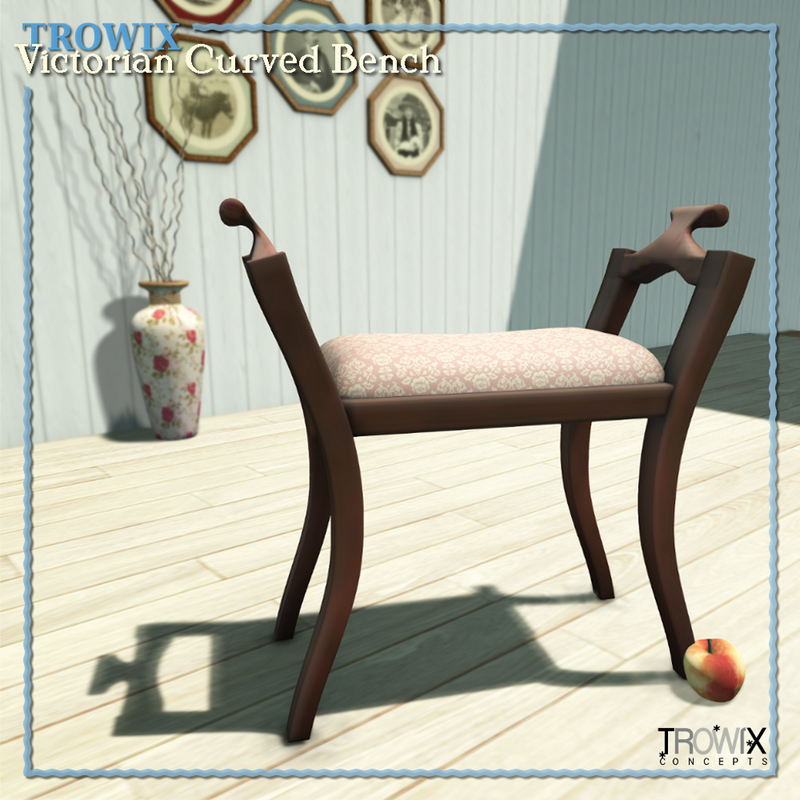 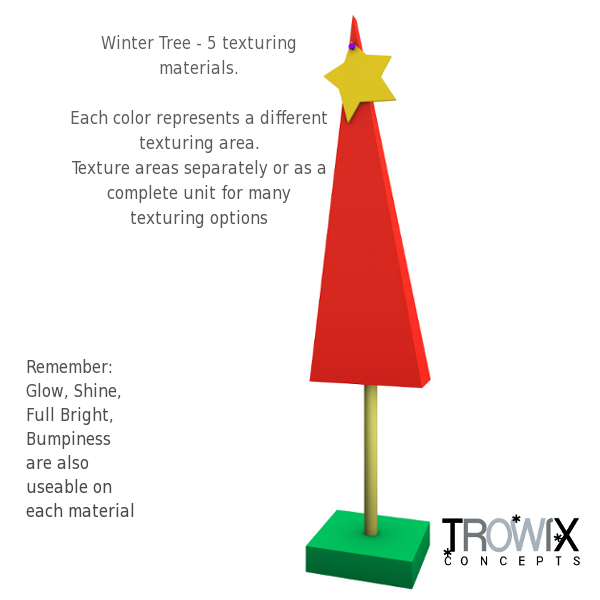 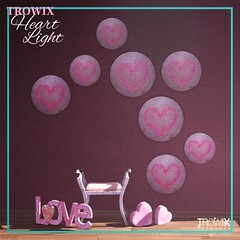 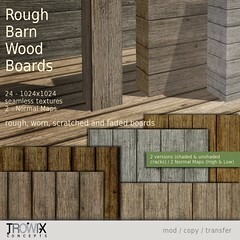 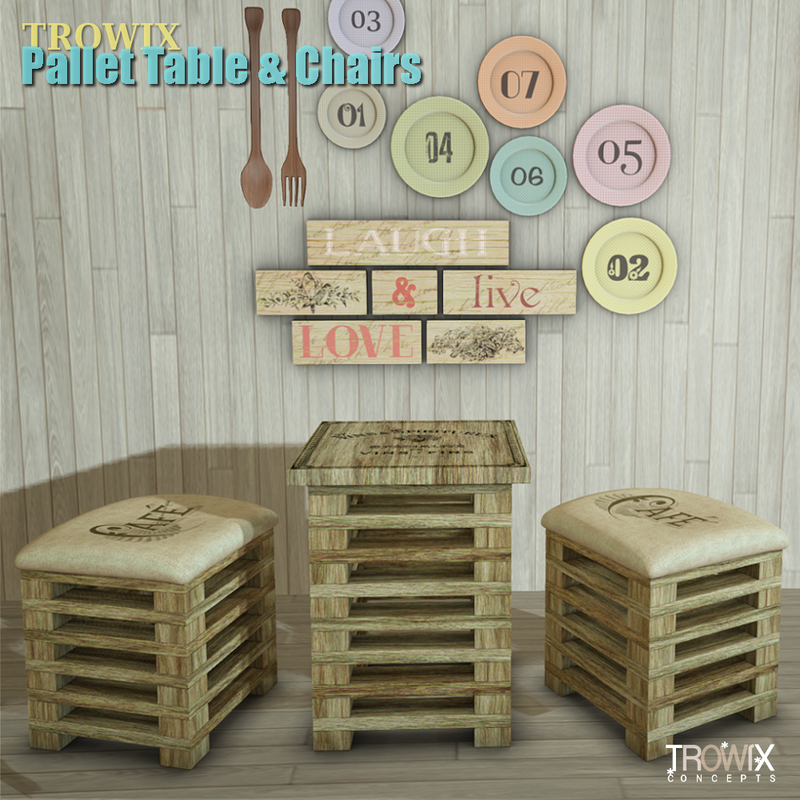 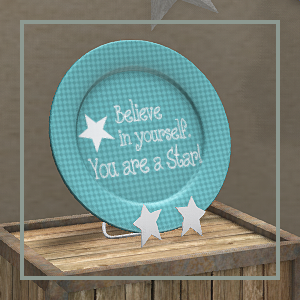 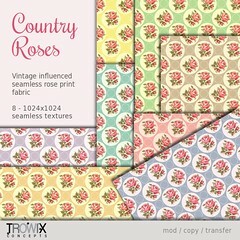 You can find this clever little hanger at the Trowix Barn and on Second Life Marketplace, here. 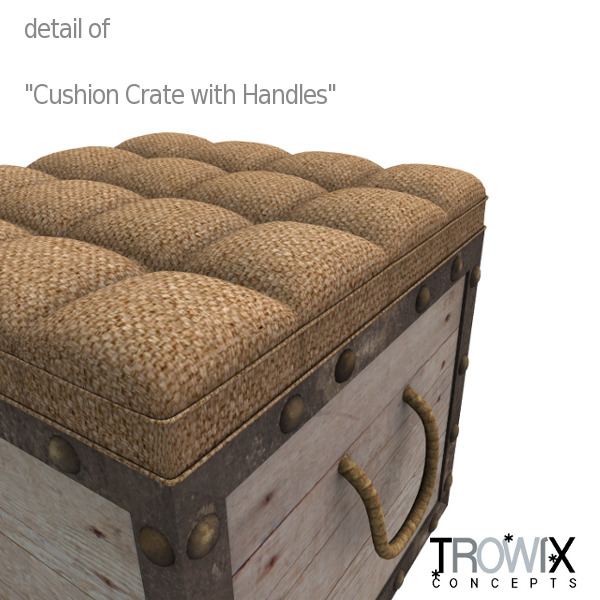 Add charm, fashion and whimsy with this up-cycled crate with a tufted cushion for tables and seating indoors and out. 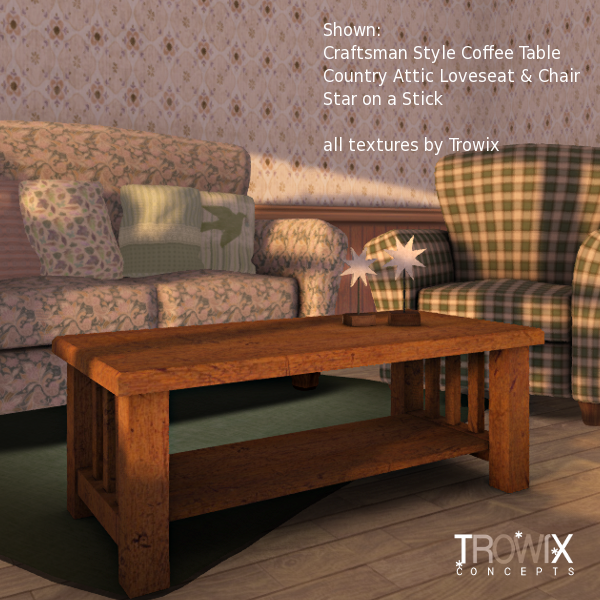 The tufts! 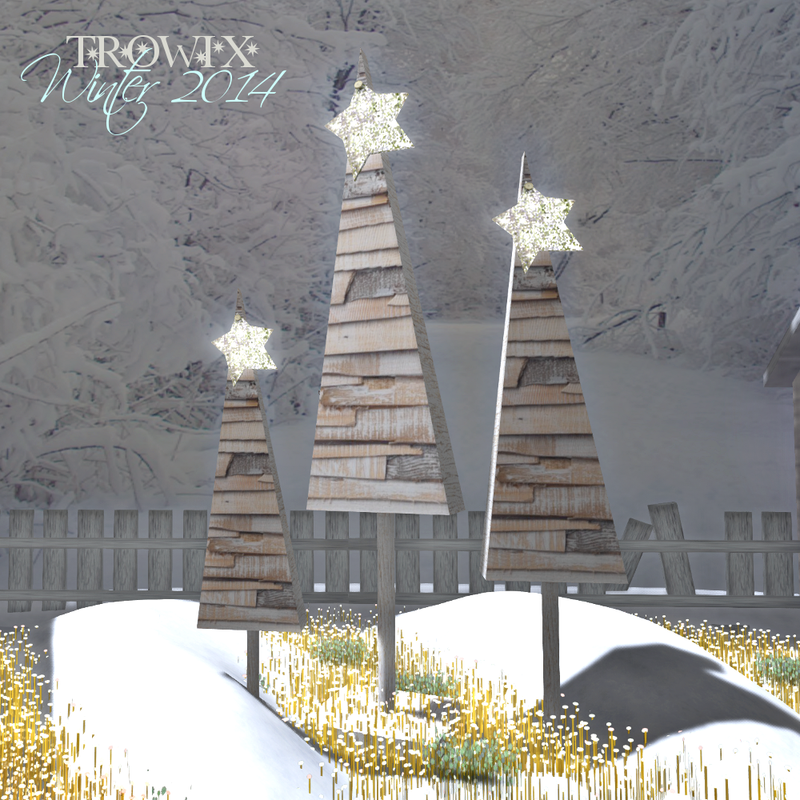 The bolts! 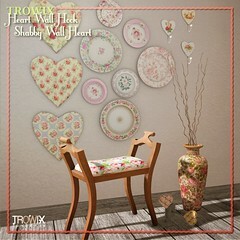 Tiny welting! 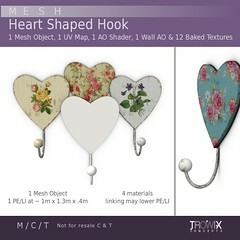 The details! 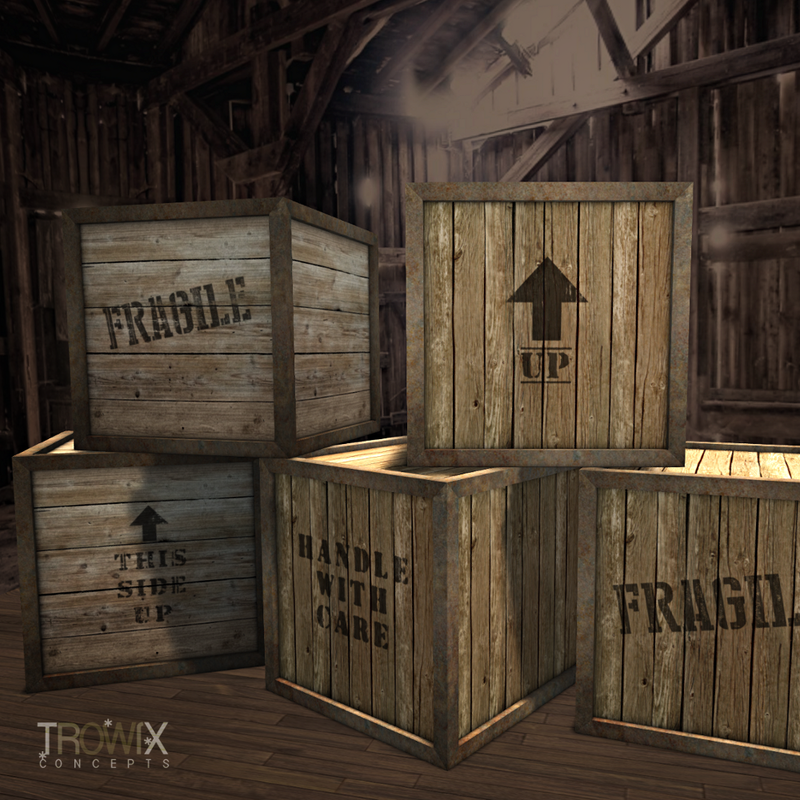 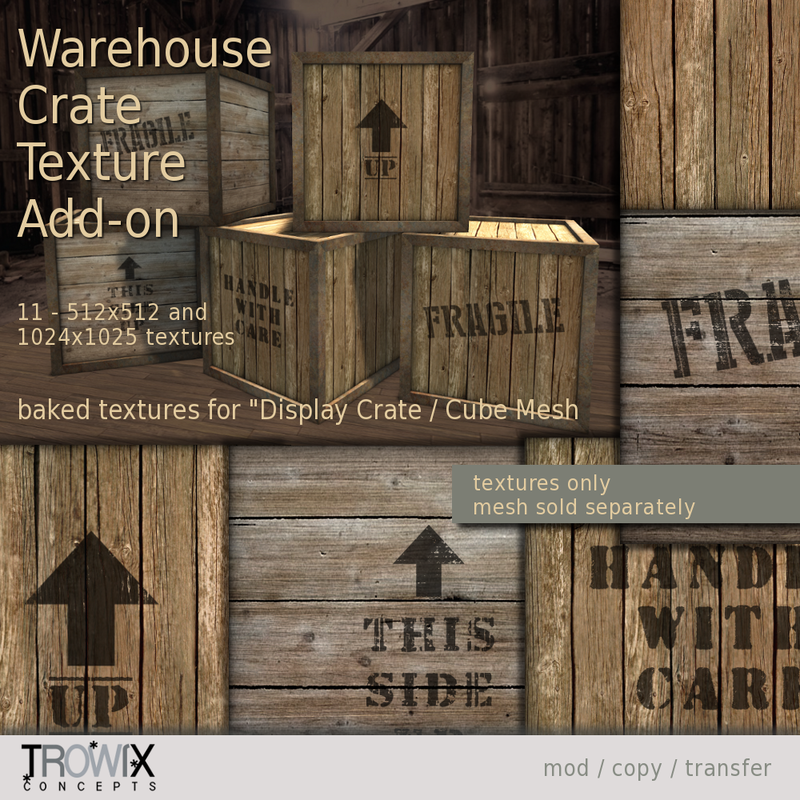 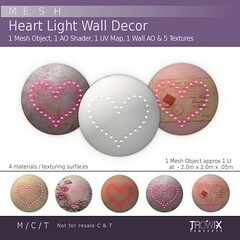 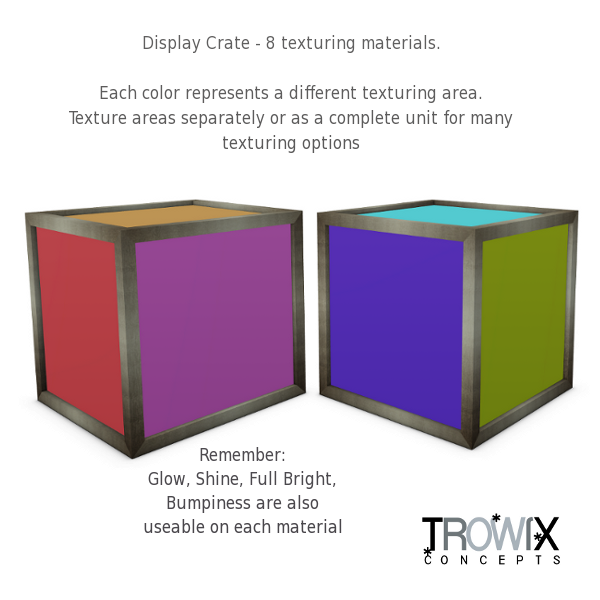 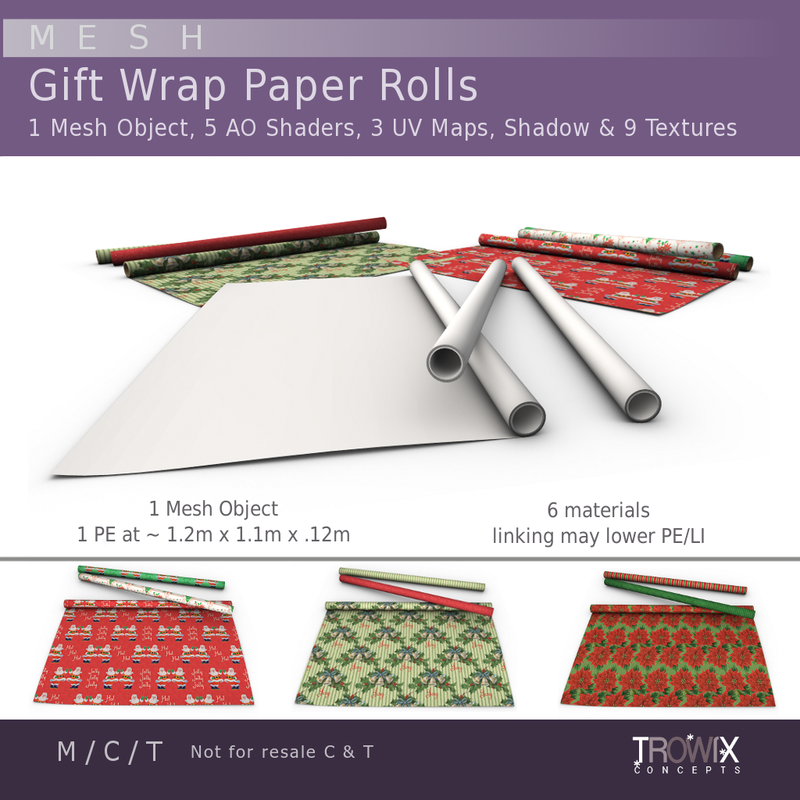 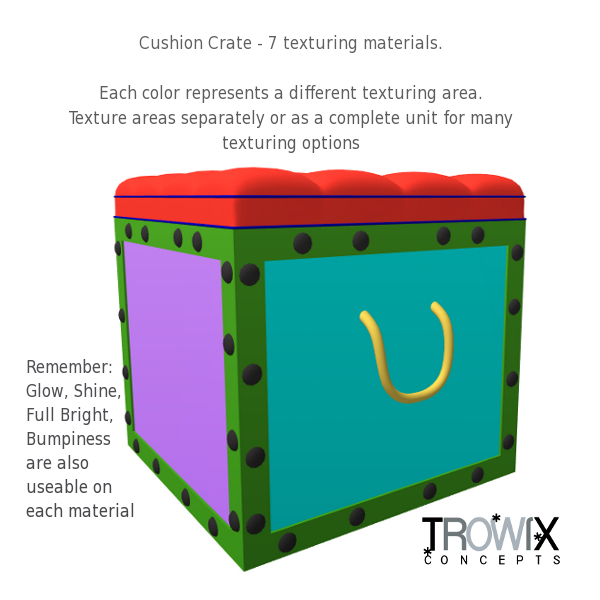 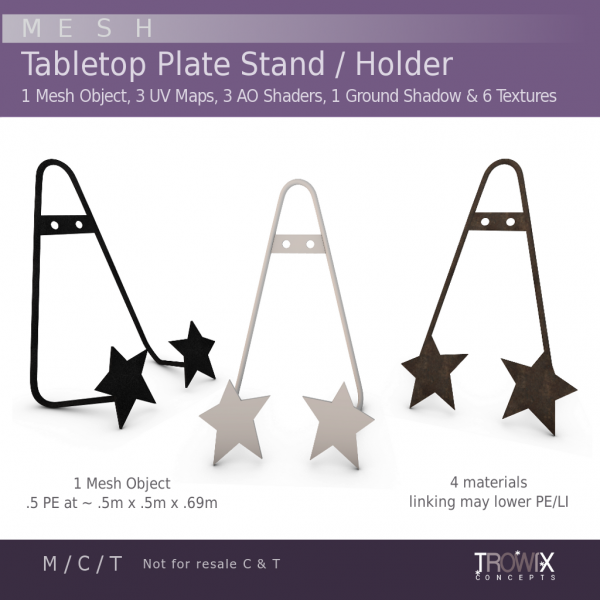 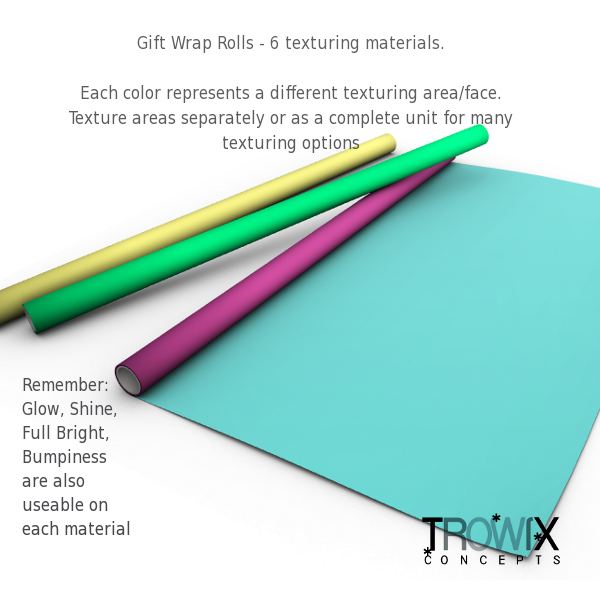 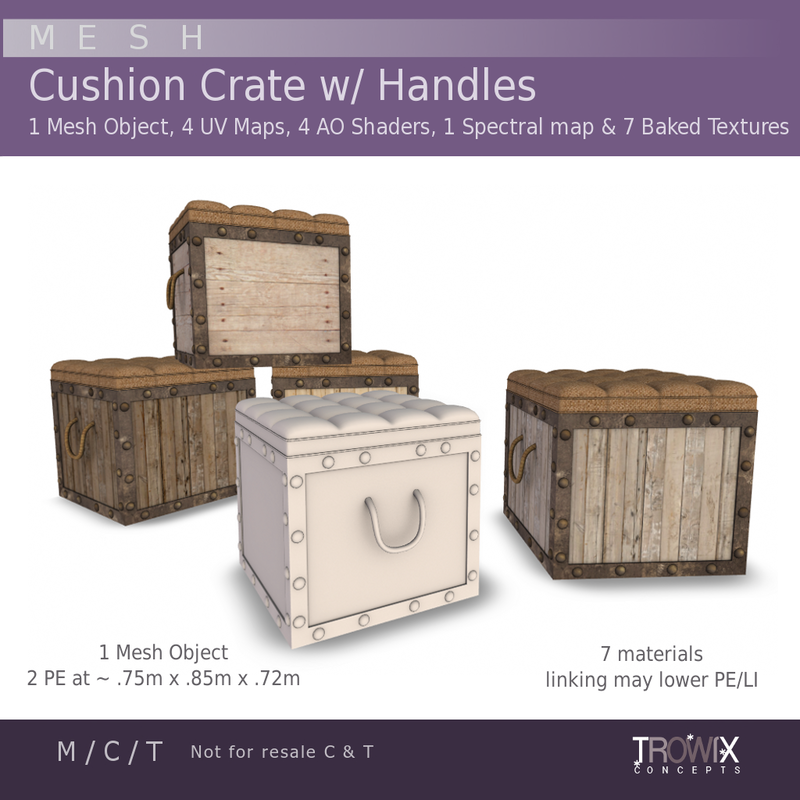 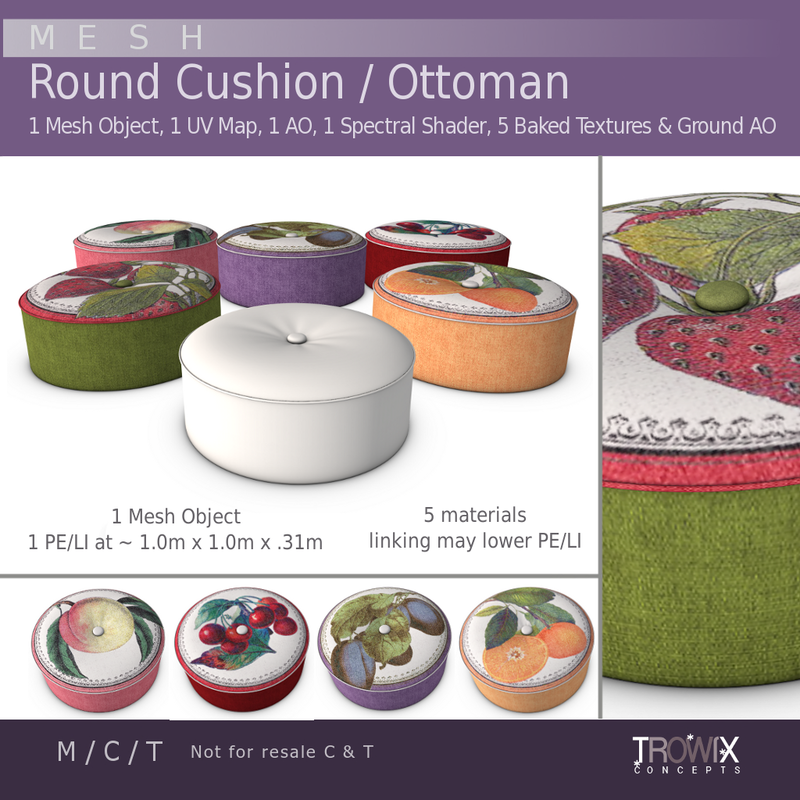 The mesh pack comes with crate… textures, but we have so many more pre-made baked textures for fast texturing options. 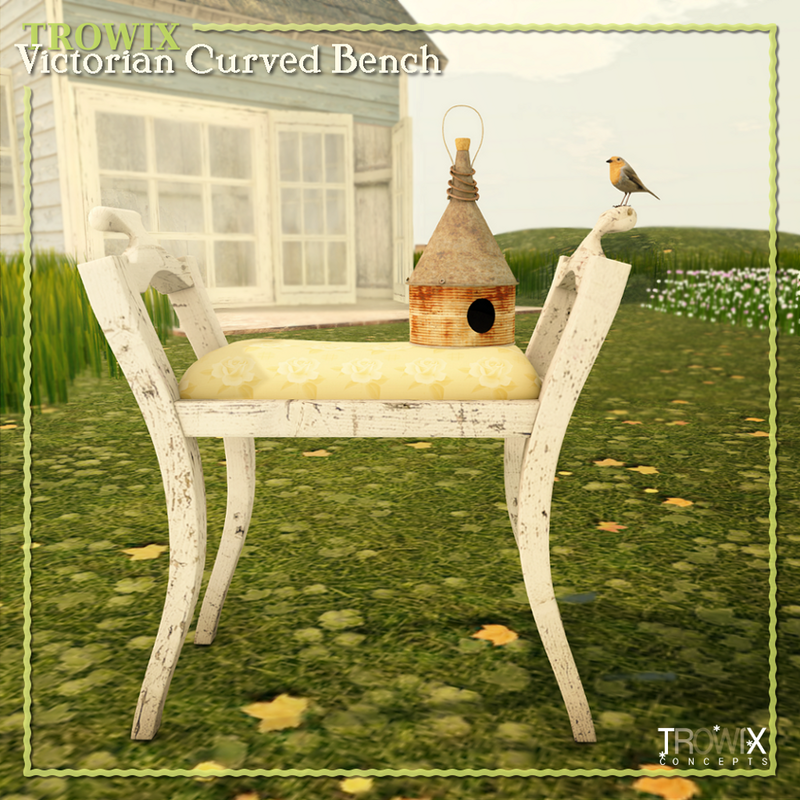 Antique goodness! 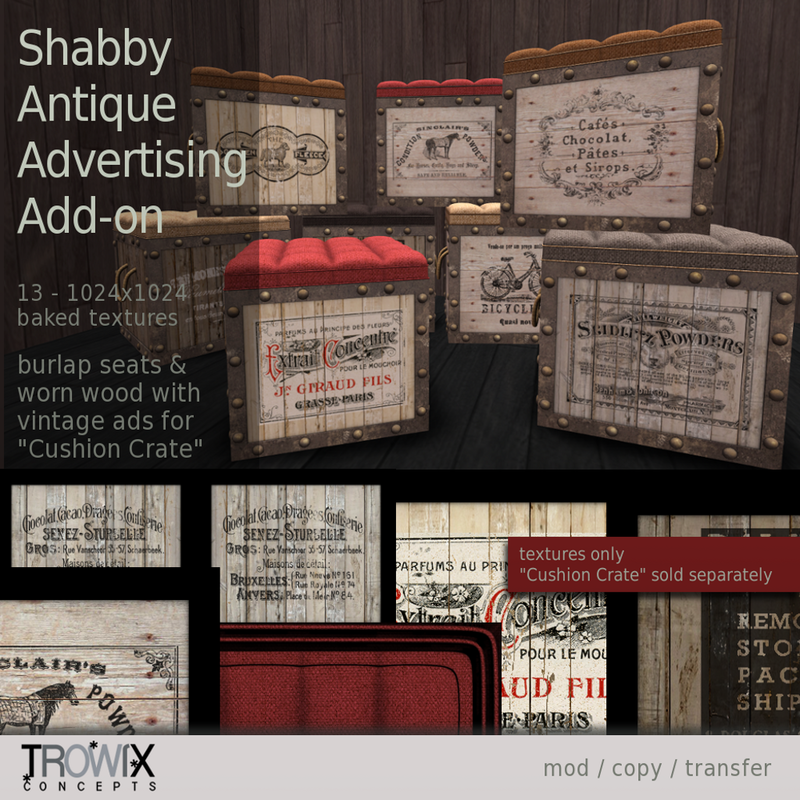 Get your shabby on. 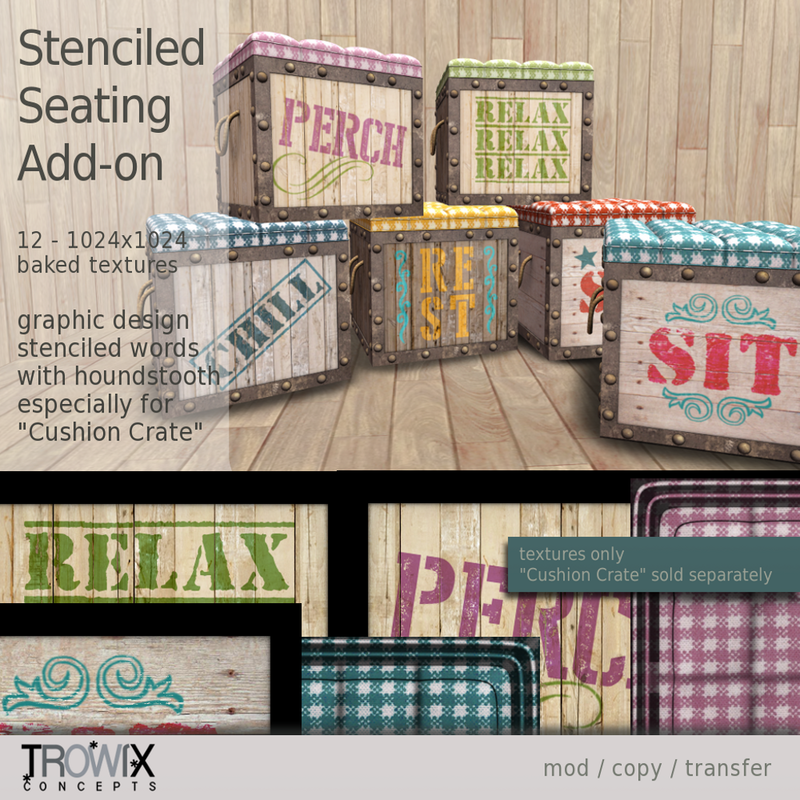 Stenciled fun! 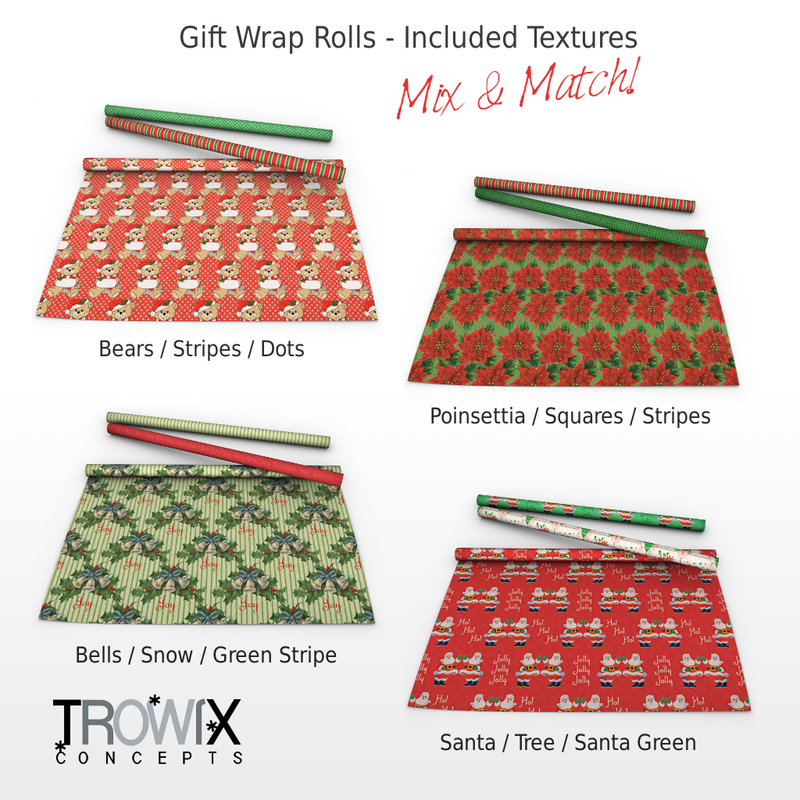 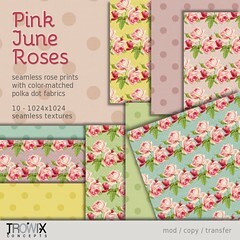 Mix & Match Everything! 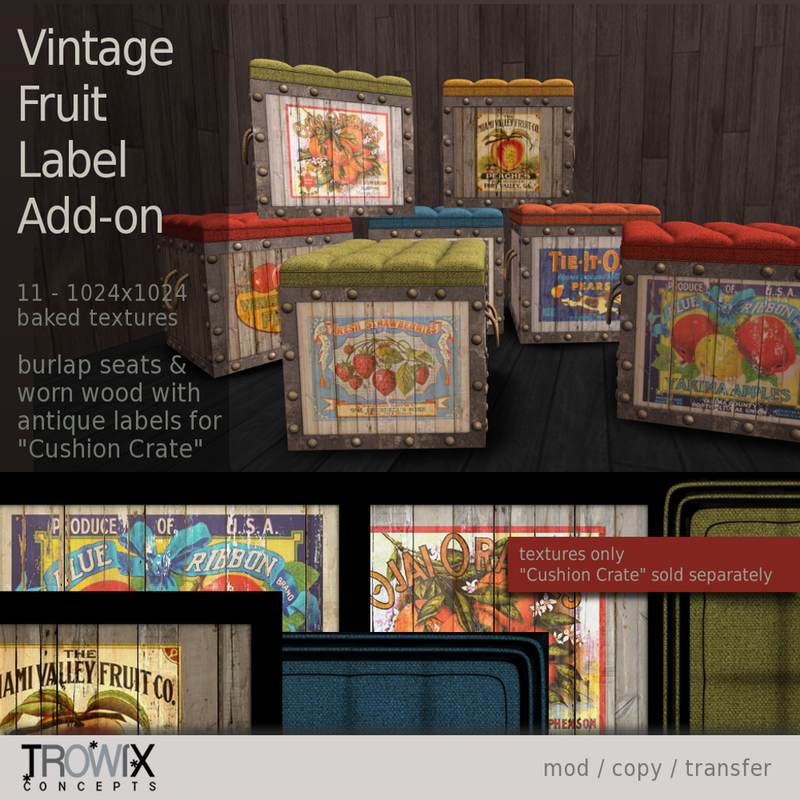 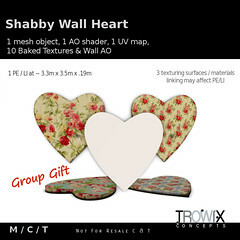 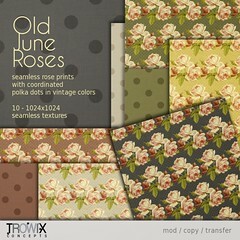 or on Second Life’s Marketplace – Crate and Stencil, Vintage Fruit, Antique Shabby Add-ons. 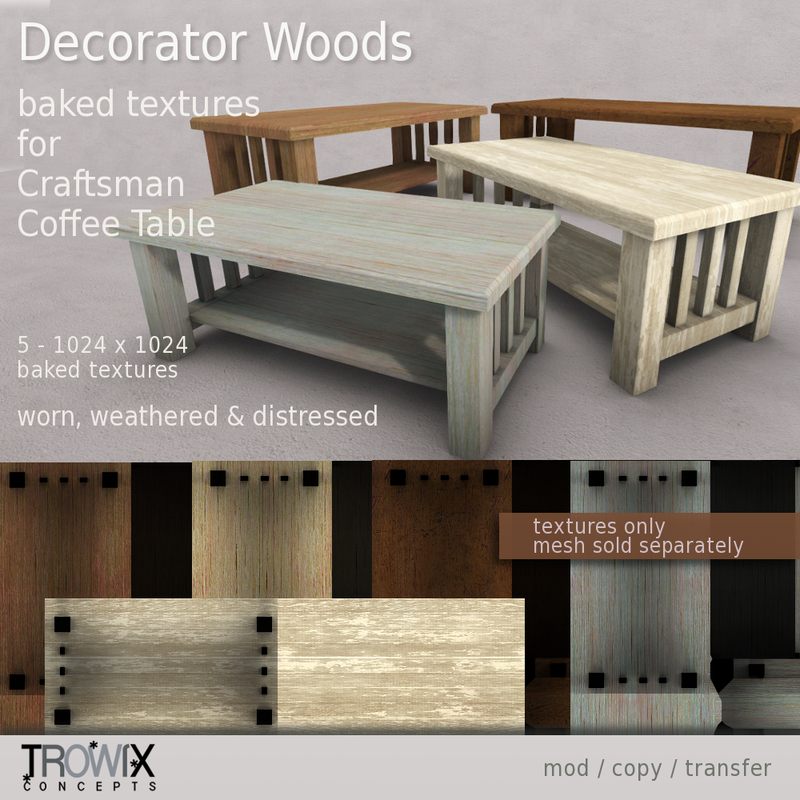 Craftsman Coffee Table – Simplify! 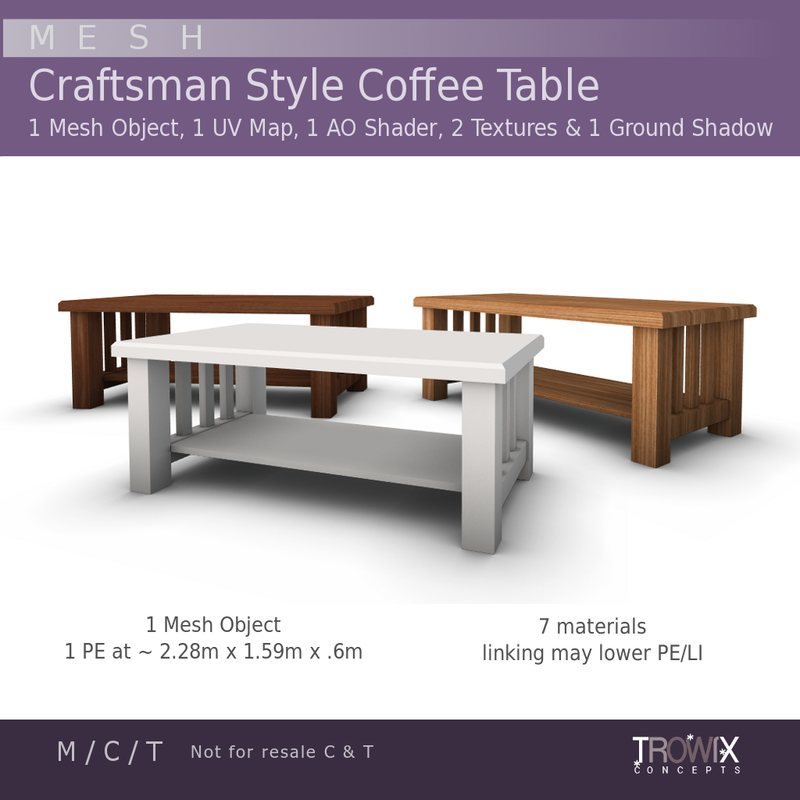 A simple coffee table in the Craftsman style, known for clean, straightforward design and precise details is a perennial favorite of decorators and designers. 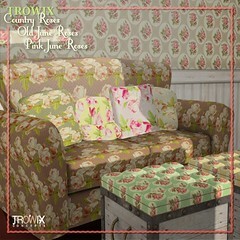 Strong, clean lines compliment contemporary styles or contrast beautifully with over-stuffed sofas. 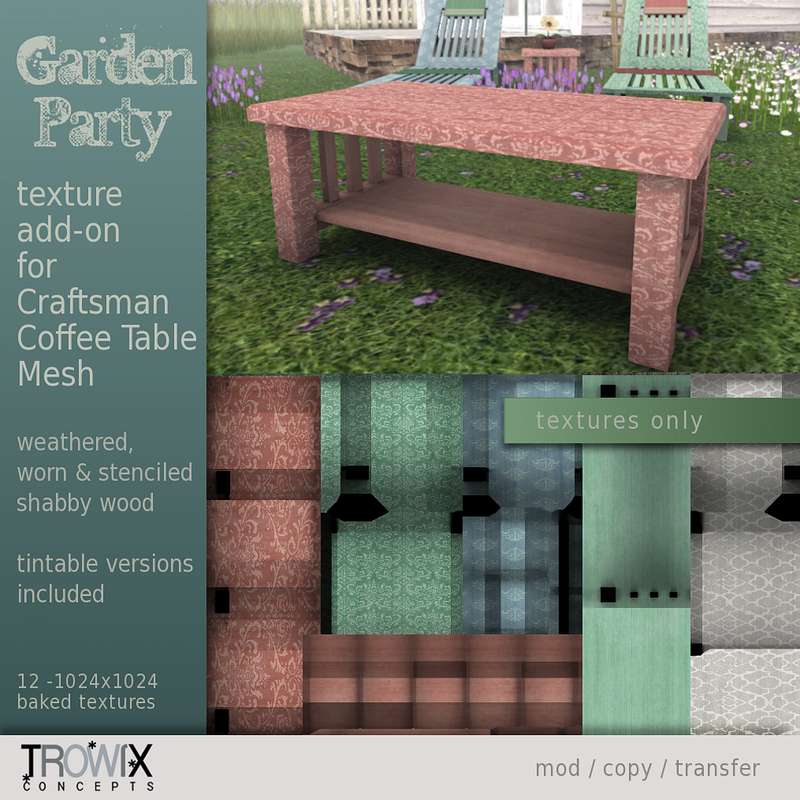 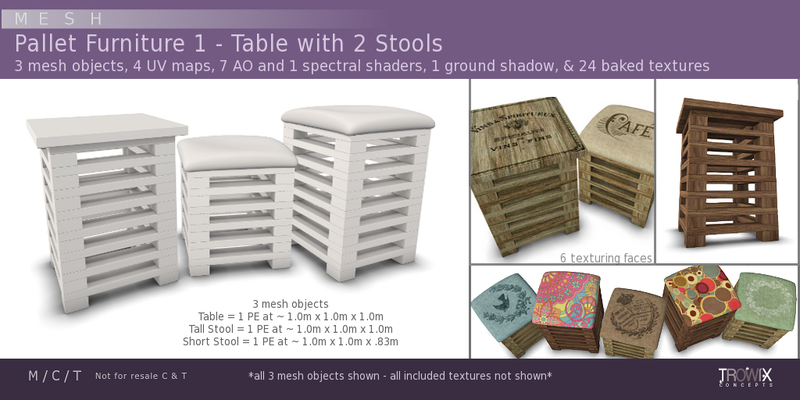 To help get your room in shape fast; pair with: “Craftsman Style End Table” Mesh Pack and use our Add-on Texture Packs: “Decorator Woods” & “Garden Party”. 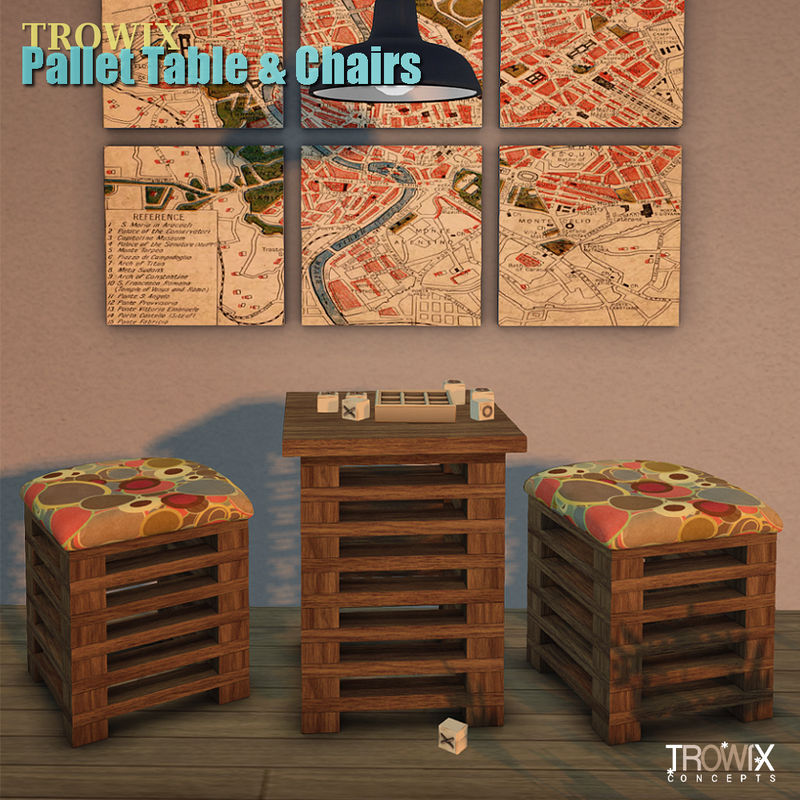 and the coffee table on Second Life’s Marketplace, here. 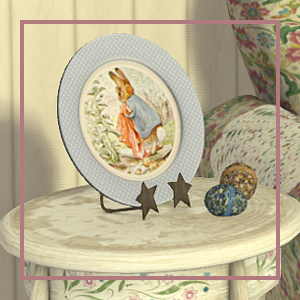 …and have another cup of coffee, you’ve got the time!